Click here to grab your e-copy for just $2.99! Emily Bradley, an orphan born in a brothel in a small English town in 1784, flees after her first forced encounter with a client, Lord Charles Stanford. Five years later, he tracks her down and forces her into marriage in order to manipulate her and their son to secure his vast legacy. Emily must deny everything she is and loves, her art and her new country life, to keep the truth from his aristocratic family or face Lord Charles’ murderous temper. When she’s offered a commission to paint a portrait at the Royal French Court of Joséphine Bonaparte herself, Emily sees a chance to break free from her miserable life – but it means forming an alliance with the enemy of England, potentially exposing all her secrets, and possibly losing her son. Emily is forced into the hardest choice of her life: where her fate and her son’s future, hang in the balance. 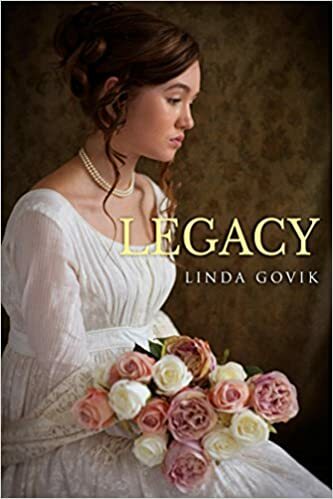 Read an excerpt of “Legacy: Book 1” here.